Leading off this Friday is news of a Philly-centric fundraising auction hosted by the National Foundation for Celiac Awareness. There are four items up for bid, including a group gathering at the Ringling Bros. and Barnum & Bailey Circus, which rolls into town next week. That package includes 14 tickets in a private suite and three parking passes for one show of your choice between February 16-20. The other items at auction are for Flyers memorabilia (stick autographed by Danny Briere and jersey signed by Kimmo Timonen) and Flyers tickets (four box seats, dinner for four in a private dining room at the arena, and one parking pass for a game of your choice this season). Act quickly, though, because the circus package auction ends Monday, February 14, while bidding for the other items closes on Saturday, February 19. I wrote earlier this week about DeIorio's gluten-free pizza shells, which have been featured at the last two Appetite for Awareness events. Congrats to reader Karin A., who is the winner of the recent ShopRite gift card giveaway. September 2011 is the target date for the opening of southeastern Pennsylvania's first Firebirds Wood Fired Grill. (The other area location is in Newark, Delaware.) The steakhouse chain, which offers a gluten-free menu, plans an outpost at the Garnet Valley Plaza Center in Chadds Ford (91 Wilmington West Chester Pike). New at the Shops at Liberty Place food court in Center City is Zaffron, a Mediterranean grill and hummus bar (1625 Chestnut Street, 1-855-ZAFFRON). Culinary director Seth High says that only four items on the menu, which offers kabobs, salads, rice dishes and falafel, are off-limits due to wheat: the breads, shwarma, za'atar vinaigrette and baklava. In handling fresh items on the line, the staff uses dedicated utensils through service and washes and sanitizes each implement between uses, according to High. First it was gluten-free grilled cheese sandwiches. Then came gluten-free ice cream cones. 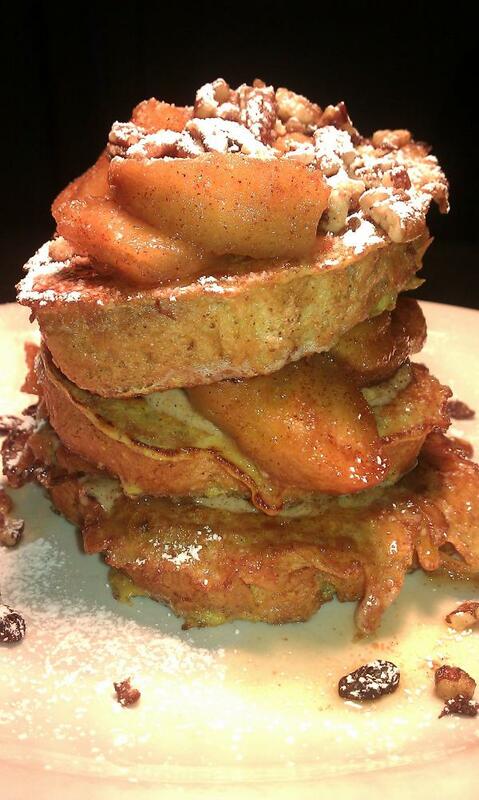 Now, The Pop Shop in Collingswood has created gluten-free apple-stuffed French toast. Laura, a Scotland native who blogs as the Gluten Free Traveller, recently wrote about the Philly cheesesteak-style sandwich she ate at the Girard Avenue Paesano's. Cantina Feliz in Fort Washington, which I mentioned in this space a couple weeks ago, is now open for lunch. Thanks to Michael Klein of the Philadelphia Inquirer for the news. Sweets from Doylestown's The Grain Exchange will be available at the Philadelphia Zoo beginning on March 4. Safeway, which owns local supermarket chain Genuardi's, is now offering three gluten-free breaded frozen seafood products under its Waterfront Bistro label. 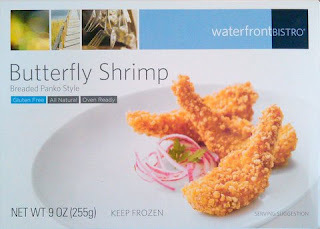 The breading on the Panko-Style Cod Fillets ($7.99 a box) and the Panko-Style Butterfly Shrimp and Panko-Style Honey Spice Butterfly Shrimp ($8.99 a box) is made with rice flour, corn starch, yellow corn flour, seasonings and other ingredients. The products carry a seal of approval from the Celiac Sprue Association. (You can get free grocery delivery from Genuardis.com with code EASY7.) In addition to Genuardi's, the products also are available at Safeway's other markets nationwide, which include Vons, Dominick's, Tom Thumb, Randalls, Pavilions and Carrs. Thanks to Ginger of Gluten Free in Georgia ... Finally, who announced this news. 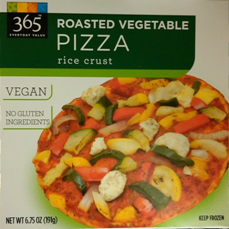 Under its 365 Everyday Value line and priced at $3.99, Whole Foods has introduced a personal-size Roasted Vegetable Pizza made with a rice crust. You can read a review of the pizza by Jennifer at the Gwinnett (Ga.) Gluten-Free Food Examiner, who wrote about it last week. You can also find Against The Grain's new ready-to-bake gluten-free pizzas at Whole Foods. The pizza comes in two varieties: Three Cheese and nut-free Pesto. The products sell there for $11.99 each. The list keeps growing: Feel Good Foods' gluten-free dumplings are now available locally at Food For All Market in Mt. Airy, Earth Foods in Holicong (near Lahaska), DeLiteful Foods in Lawrenceville and Bonterra Market in Egg Harbor Township. Children up to age 8 are welcome at Food For Me, a local allergen-free playgroup in Merion Station. There are kosher gluten/dairy/egg/nut free snacks, guest speakers, cooking activities, music, games and more. Open to the public, Food for Me is held on Tuesday afternoons from 3 p.m. to 4:30 p.m. at Adath Israel (250 North Highland Avenue). A donation of $5 per family to cover the cost of food expenses is appreciated. For more information, contact Sharon at 617-710-2519. Finally this week, allow me to shamelessly plug a just-published gluten-free cookbook written by the wife of a longtime friend of mine. With the relatively high cost of many gluten-free foods and the downturn in the economy, Nicole Hunn started the Gluten-Free on a Shoestring blog in 2009, posting family-friendly recipes that could be made with ingredients on a budget. Her blog got a mention later that year in a New York Times article on celiac disease, which ultimately led to a book-publishing deal. The cookbook contains 125 recipes and includes favorites such as pancakes, blueberry muffins, soft pretzels, wontons, sandwich bread, chicken pot pie, macaroni and cheese and chocolate chip cookies. It's now available at Amazon.com and other bookstores.